Praising God in various languages is lovely, and as such should be embraced inanimously by every praise-loving beliver that’s filled with grace for honoring God. We have done our best in coming up with list of Gospel songs lyrics in Igbo, in Yoruba, in French, Efik/Ibibio and some other Nigerian langauges. And would continue same trend with Gospel songs in Hausa/Fulani langauges. 34. Na che mi zai hana aikin bishara . . .? 35. woni lefine Yesu yayi? As already stated, today’s list is focused on Fulani /Hausa Gospel music lyrics and Videos. The list will be updated from time to time and would feature some Gopspel events in Hausa/Fulani native languages. Nba ka da Yesu ko mai ya zama banza. c) Ko kana da yara………..
Ina da Uba, Uba har abada. Halleluyah murna za mu samu ran nan. 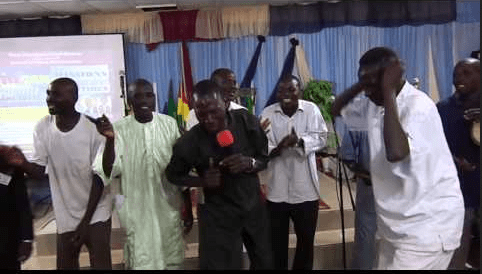 woni lefine Yesu yayi aduniya….?. Kai kadai zan bauta . . . .
ba zan ji soro …. Hannu a tafa, godiya gare ka Allah! Mu yabi Yesu mu tsira, ku zo mu taka! Sai mu tafa, sai mu taka, ku zo mu tafa!